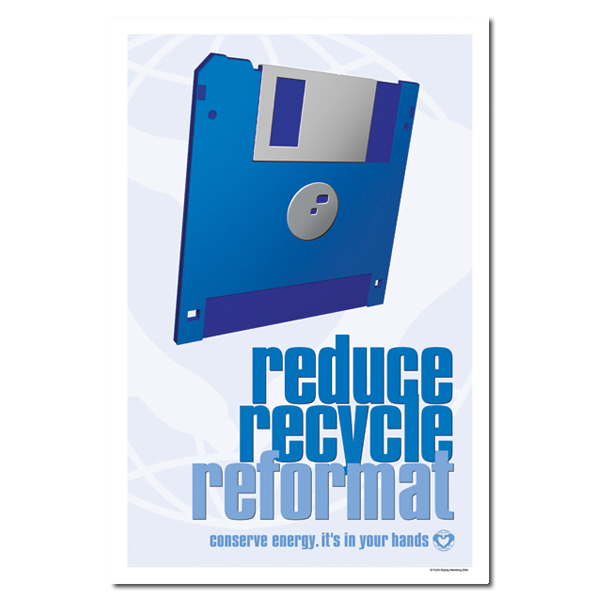 Theme: A floppy disc reminds us that we can reuse computer equipment such as discs when possible. 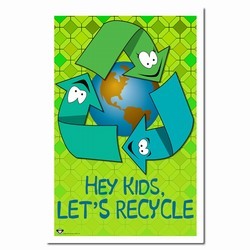 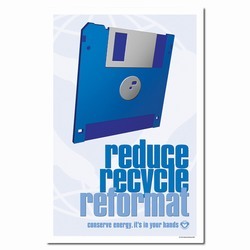 If it can't be reformatted or reused, please recycle it. 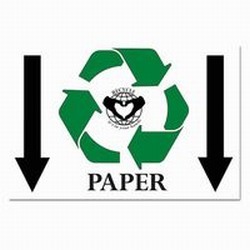 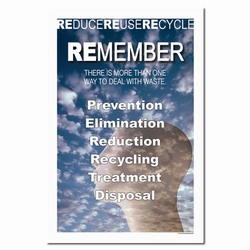 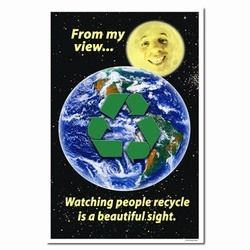 Message: "Reduce, Recycle, Reformat. 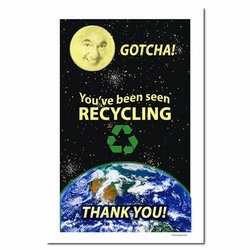 Conserve Energy, It's In Your Hands."